The books are wrong! Our chess friend Gunter Brunold provided me documentation that the historical Dr. Ryder game is presented wrong in many books. Brunold updates us on the corrected date (1898), full game score and full name of Dr. Ryder. Regarding this Ryder game, Emil Josef Diemer was incomplete in his book reprinted as "Das moderne Blackmar-Diemer Gambit: Band 1". E.J. Diemer focused more on the how White wins rather than on the Ryder game itself. In Issue 1, page 1, of Tom Purser's "BDG World" magazine (1983), Dr. Charles Szasz gave a 15 move game for Dr. Ryder ending with 15.Nc7# 1-0 (see Diemer's note below). I used that for my Blackmar-Diemer Gambit Keybook (1992). BDG books by Ken Smith and John Hall (1993), Eric Schiller and John Crayton (1995), and Bill Wall (1999) all gave the same 1889 date and the same 15-move game. I did the same in my Blackmar-Diemer Gambit Keybook II (1999). Purser noted a correction from Brunold in BDGW 74 (1996). Twenty years ago I had known about it, but then I forgot. Gunter Brunold reminded me. Brunold sent me the correction in German. The 20 move game "Dr. Ryder" vs "N.N." was published in Deutsche Schachzeitung, Sechsundfeunfzigster Jahrgang, Nr. 8 August 1901, pages 236-237 as Game 6763 with comments by Walther Freiherr von Holzhausen (who won the 1898-1899 winter tournament in Leipzig). Arthur William Ryder was born in Oberlin, Ohio on March 8, 1877. He was educated at Harvard and Leipzig. He was probably age 21 and working on his doctorate at the time of this 1898 game. In 1902 he returned to America. Dr. A.W. Ryder became a professor of Sanskrit at the University of California at Berkeley. Ryder died March 21, 1938. Blackmar invented 1.d4 d5 2.e4 dxe4 3.f3. 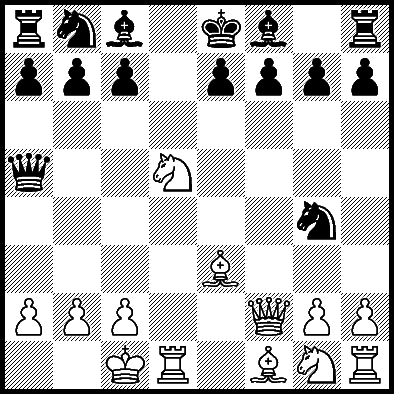 Diemer came up with 3.Nc3 Nf6 4.f3 exf3 (BDG) and promoted both 5.Nxf3 and 5.Qxf3 for 50 years. 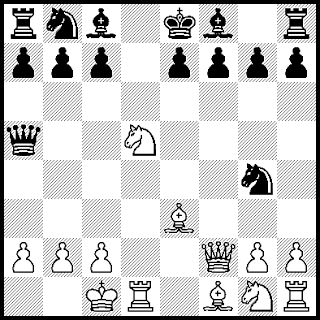 Ryder played 5.Qxf3 in his only known game in this line. So we see a Pre-Diemer was played by the Pre-Doctor, Arthur W. Ryder. Below is the full corrected historical game with my new notes.